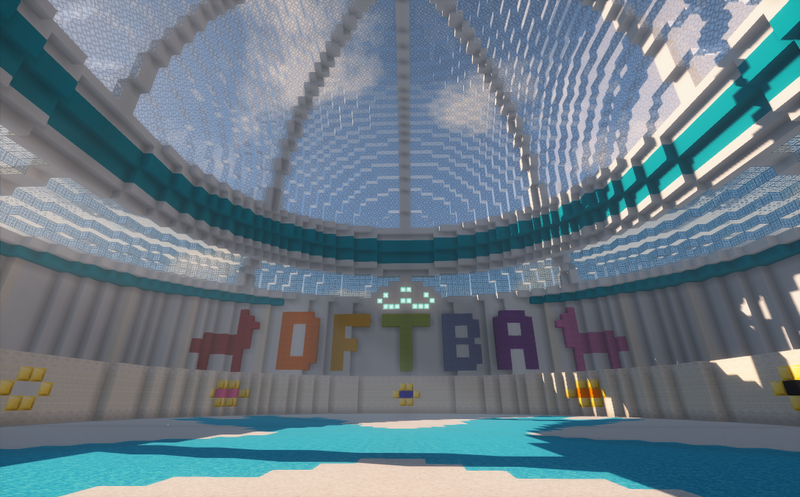 Important Updates MiniGames opens TODAY! After years of waiting we finally open part of our minigame server today. Right now there are two games you can play: Paintball/Snowbrawl and Spleef. We are still working on finishing even more arenas and adding more kinds of games. Come join the server with /server MiniGames and start a game with friends at /warp spleef or /warp snowbrawl! Important Updates Survival season - prizes and new challenges! You killed that pesky wither and completed the challenge hall. Fly will be switched on for the next 2 weeks, until January 10th January 18th. To turn it on, type /fly. 2. More temples and biomes! 3. Awesome drops and the new challenge - Build an ice town! Calling all explorers! Calling all builders! Calling all artists! There's a survival town to build! It's that time of the year: Project for Awesome! during the time until monday, december 18th 2017. Just use the coupon code "P4A2017" at checkout. All donations go to the Foundations to Decrease Worldsuck! And you will get something on the server! Ehehe, too much broth. Server is having hiccups and trouble staying up long. We are brewing a soothing tea. All engines running again. Choo Choo! Broth was the answer to survive the crisis, it seems. quick PSA: Someone forgot to close the windows to the server room. It started to snow in and now the server is down with a cold. We are aware of the cold and are urgently brewing hot apple cider and collecting blankets to get the server healthy and up and running again. The medical team will inform once the crisis is passed. There you will find piping hot apple cider, creamy eggnog, fluffy baumkuchen, and all sorts of little goodies if you're looking for something for the special people in your life. Server Event Pre-P4A Charity Stream! In the spirit of Christmas, and the Project for Awesome, I will be doing a 24 hour livestream! All money raised will go directly to The Foundation to Decrease Worldsuck, the same place all our buycraft donations go to. And so begins a time of gingerbread, hot beverages, advent calendars and… llamas?! I guess we all know stories of Santa’s reindeer Dasher, Dancer, Prancer, Vixen, Comet, Cupid, Donner, Blitzen, and Rudolph. They’ve been told and sung about many many times. And this year… they are missing! It seems that they found out about Nerdcrafteria and decided to pay us a visit. We heard they are very sneaky though and aren’t limited to the server but can appear all over Nerdcrafteria related content. They also won’t appear all at once but over the course of several days. So if you see one of Santa’s llamas, please post a screenshot of their location on this thread so Santa can find them and talk to them. Each llama will have a unique hiding spot and will be clearly labeled with its name. Leading up to Christmas, each day you can open up a new door at main’s new holiday season spawn. Behind each door waits a little present for you. Come to /spawn on /server Nerdcrafteria and enjoy some hot chocolate and gingerbread with us! Important Updates Current survival world: Survival is thawing! Update: Survival appears to be thawing into some different biomes! This season we have a new mod and a build competition. Your new mod is greenhouses! This lets you build a glass greenhouse, then if you put certain blocks in there, it will change the biome to match.. spawning biome specific mods (early mooshrooms!) and plants. Some, like the clay river biome will even slowly convert your dirt blocks to clay. This season, we're having another build competition. What would be your ideal city or town on your floating island? Prizes will be awarded at the end of the season. Make glass blocks and build a rectangular set of glass walls with a flat roof. Put a hopper in the wall or roof. Put a door in the wall so you can get in and out. We actually have two winners for trick or treating: @tomsk31 and @Xieandra , who both snagged 13 treats! The winner for most combined pumpkins and wheat goes to @AwesomelyToad , who farmed more than 5 double chests of each crop. That is astounding, and you have earned the grand prize! Thank you to everyone who participated in this event~ We hope you guys had fun - we know we had fun spawning in all those creepers riding bats! Special thanks as well to @ThePotatoOne , who managed to kill over 1,000 mobs during the event! Nerdcrafteria is a safer place thanks to you, and we appreciate your help in our battle against the Titans!